Tossa de Mar has always been recognised for it’s ‘fish’ cuisine . It celebrates various acts and gastronomic events throughout the year, including ‘ fideus a la cassola’ the days of ‘bacalla’ (codfish) or the traditional dish of the town, ‘Cim-i-tomba’. Typical Mediterranean flavours, dishes prepared in the traditional ways by the fisherman when they were out fishing and had to cook in the boat, the pleasure of traditional cuisine and also the creativity , above all, the combination of the two. Tossa’s cuisine has been clearly marked by diverse characteristics of it’s territory, but over a period of time has been influenced by diverse cultures and living conditions of the people who have maintained the constant evolution, giving way to it’s very own gastronomy, similar to neighbouring towns, but also being recognised for it’s differences. 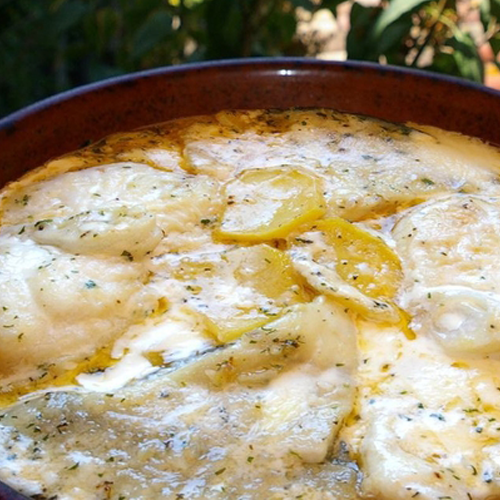 Traditional Tossa cuisine is an initiative started in conjunction with the Town Hall and varios local restaurants in June 2009, through which they try to bring to the general public and promote through the year and for years to come. With the desire to regain this part of Tossa, various restaurants have made available to all those who enjoy tasting the cuisine possible to go back in time with flavours of the days gone by, elaborated with first class quality products and in some cases unexpected modern touches. The campaign for the ‘Cim i Tomba’ gastronomy is celebrated every year through the whole month of September. The restaurants of the town that participates are members of the joint community of the traditional Tossa cuisine, offering a special menu, starter with main course of ‘Cim i Tomba’ followed by desert. 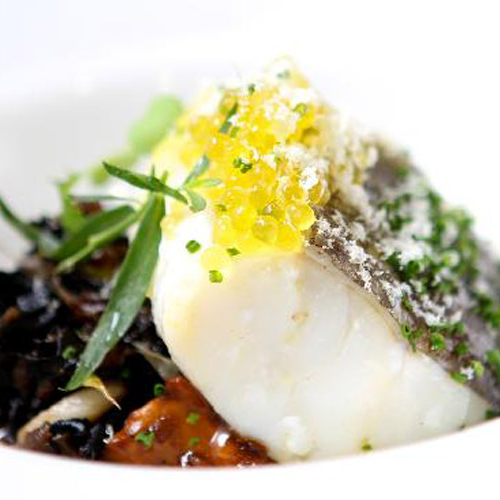 Now this dish is also cooked with monkfish, cod and turbot. 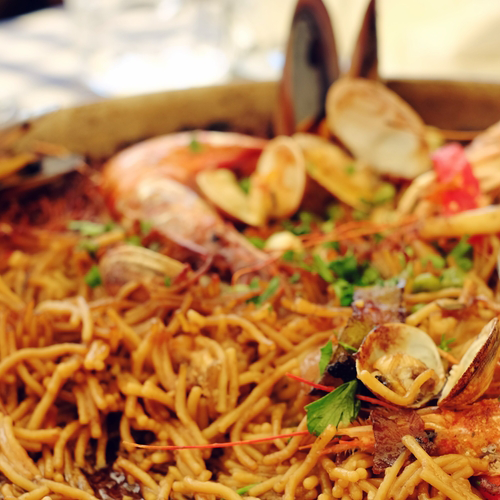 During the month of June, every year varios restaurants who collaborate with the traditional Tossa Cuisine participate in the gastronomic campaign started 7 years ago, presenting to the visitors a dish which has always been present in our homes, ‘Fideos a la cassola’.